If you love apple pie, you are going to flip over these easy Glazed Apple Pie Roll-Ups! They are delicious and only take a few minutes to prepare! 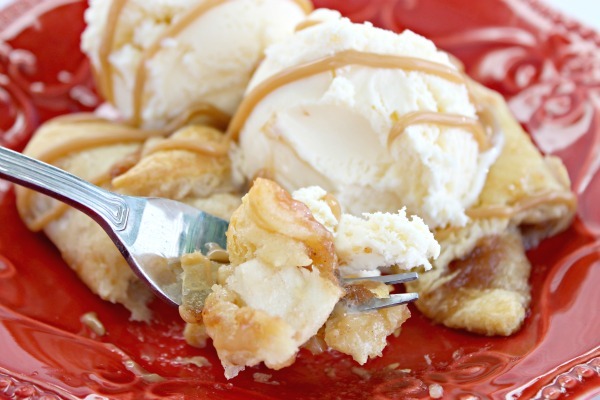 Apple pie…who doesn’t love it? It’s definitely a favorite in our home, buy oh my, it takes forever to make from scratch. 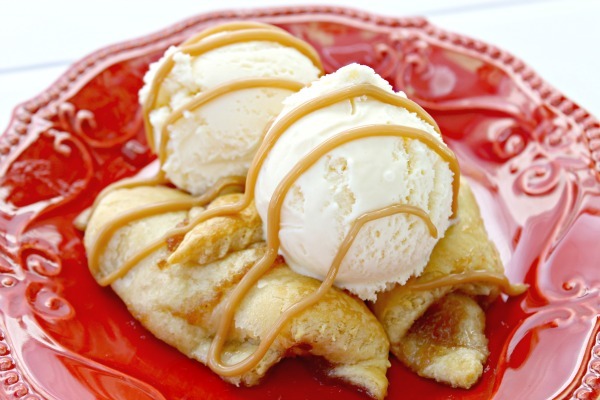 Instead, we love to make Glazed Apple Pie Roll-Ups! They take minutes to prepare and only a few ingredients! We will be taking these to all of of our fall get togethers and may even have them for breakfast a few times! Believe me…once you have had these, you will LOVE them so much that you will be coming up with any excuse to make them! This weekend, when I was at Walmart, I had to grab some of my favorite Pillsbury® Cresent Rolls so I could make them for our family. 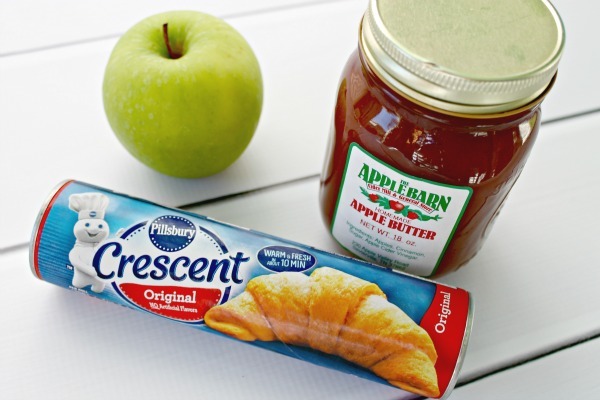 All you need is one apple of your choosing (we love Granny Smith Apples), apple butter and one package of Pillsbury® Crescent Rolls. This is what they will look like before they go into the oven. 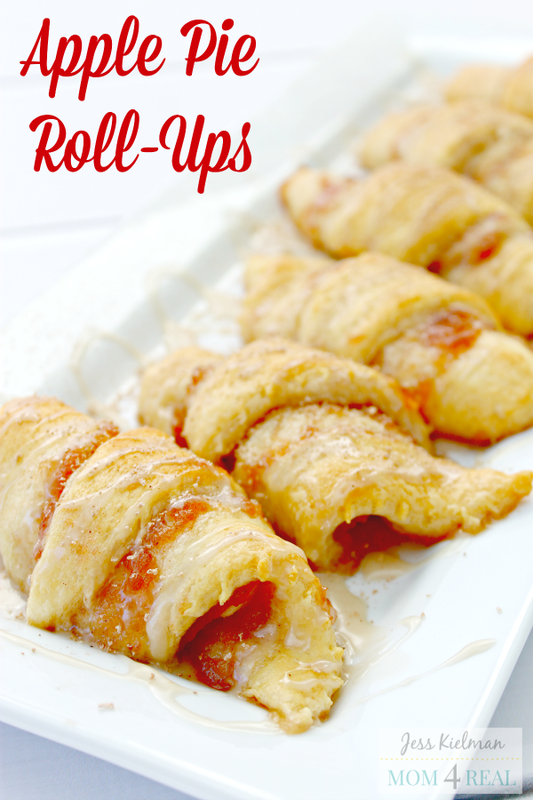 These Apple Pie Roll Ups will be a family favorite for sure! Mix one cup of confectioner’s sugar with 1/2 teaspoon of vanilla and 1/2 teaspoon of milk to make a delicious glaze. Preheat your oven to 350 degrees. Roll out your cresent rolls. Spread a little apple butter on the crescent roll. Place a slice of apple at the large end of the crescent roll. Roll the crescent roll up. Place all of your rolled crescents on an ungreased cookie sheet and bake for 12 minutes. Serve warm with a little glaze drizzled over them or with some ice cream! Make ahead of time and rewarm. I’m telling you…these Glazed Apple Pie Roll-Ups are so delicious…they won’t last long. I love to serve them with ice cream and a little bit of caramel sauce over the top. BEST. DESSERT. EVER! We will be enjoying these at tailgates, fall parties and during the upcoming holidays too! 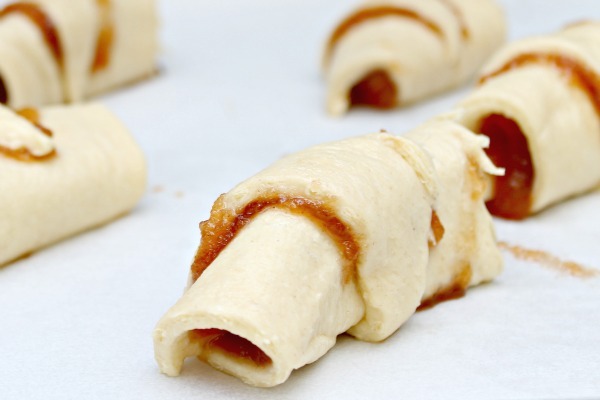 There are so many delicious treats you can make with Pillsbury® Crescent Rolls, and I can’t wait to make these with pumpkin! Pin The Image Below To Save!